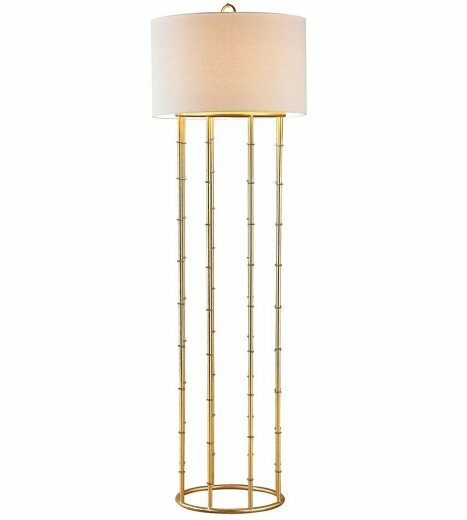 This elegant floor lamp features four gold leaf columns elegantly holding up a linen shade. 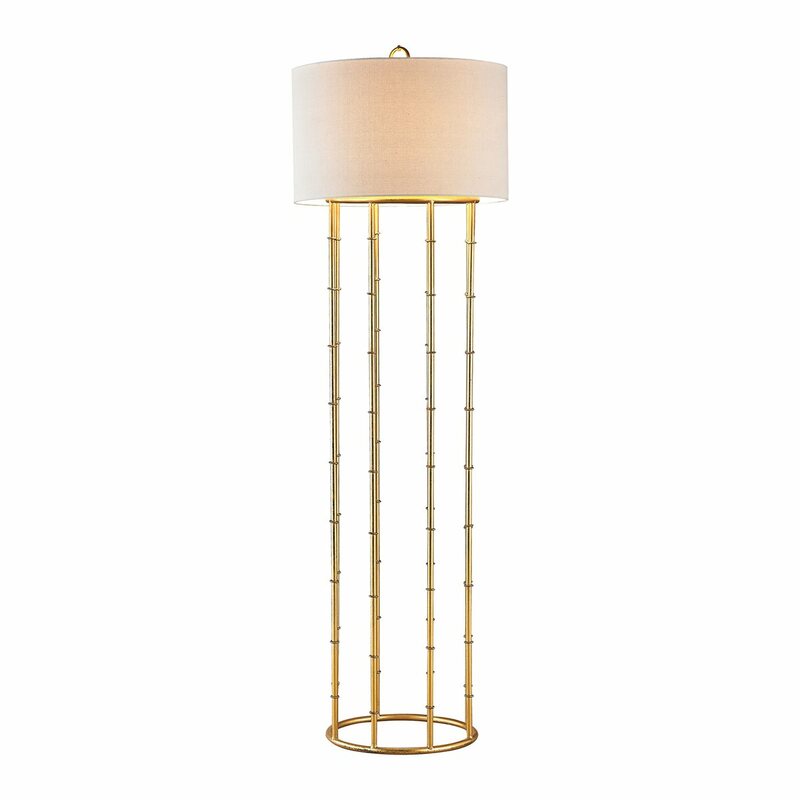 This classic piece is a wonderful way to light up your home. One 60W bulb included. 18lbs.